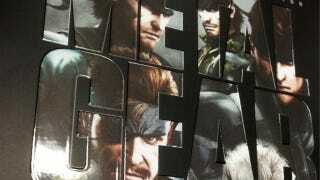 As rumored a few days ago, a new pack of Metal Gear Solid games is coming to PS3 this June. Not to be confused with the one that came out a year and a half ago. Celebrating the 25th anniversary of the METAL GEAR SOLID franchise, this PlayStation®3 exclusive package will include METAL GEAR SOLID, METAL GEAR SOLID 2: HD Edition, METAL GEAR SOLID 3: HD Edition (which includes the original MSX versions of METAL GEAR and METAL GEAR 2), METAL GEAR SOLID: Peace Walker HD Edition, METAL GEAR SOLID: VR MISSIONS and METAL GEAR SOLID 4: Trophy Edition. In addition, the collection will also include two Ashley Wood digital graphic novels. No word on price or any specific release date just yet.